This ordinary house, along a canal in the town of L’Isle-sur-la sorgue is embroidered by Nature’s hand, which, now that winter has struck the shiny glitter of its ivy leaves to the ground, is showing me the unstoppable force of a single root which has taken dominion over the entire surface of this building. I was stuck dumb with admiration for the complexity and sheer visual, graphic, beauty of this circulatory system, for surely that is what this is, a root dipping its toe into the waters of the canal below the house. And isn’t this what we hope photography can reveal to us? A moment of innocent wonder at the gifts that nature, or mankind, offers us, and the power it has to set us free to simply take in whatever meaning this, or any other form of unexpected beauty presents. 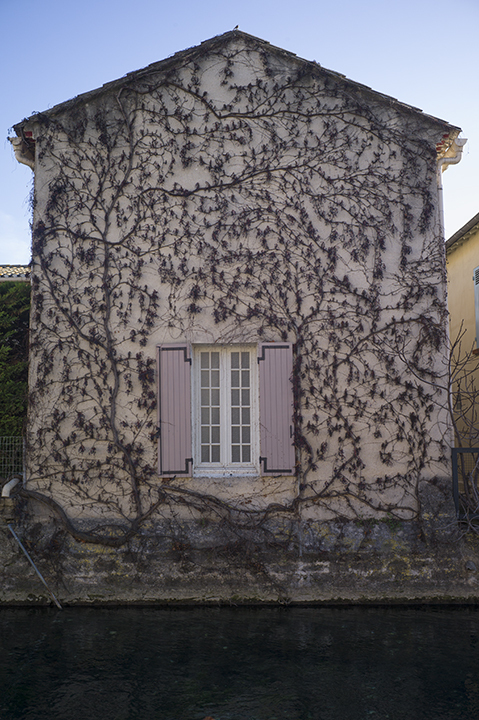 This entry was posted in Uncategorized and tagged France, House, L'Isle-sur-la-sorgue, Provence, Vines on January 6, 2015 by joelmeyerowitz2014.